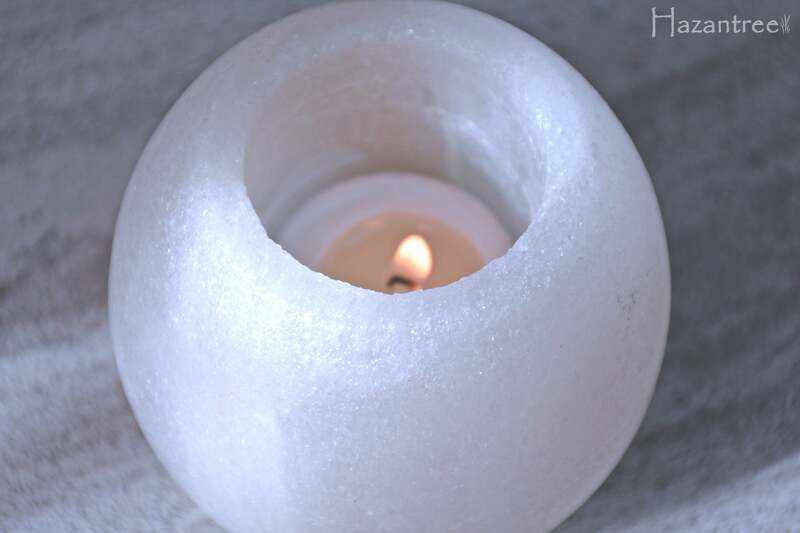 Our Natural Himalayan Salt Candle holder is hand-crafted using natural Himalayan pink salt. 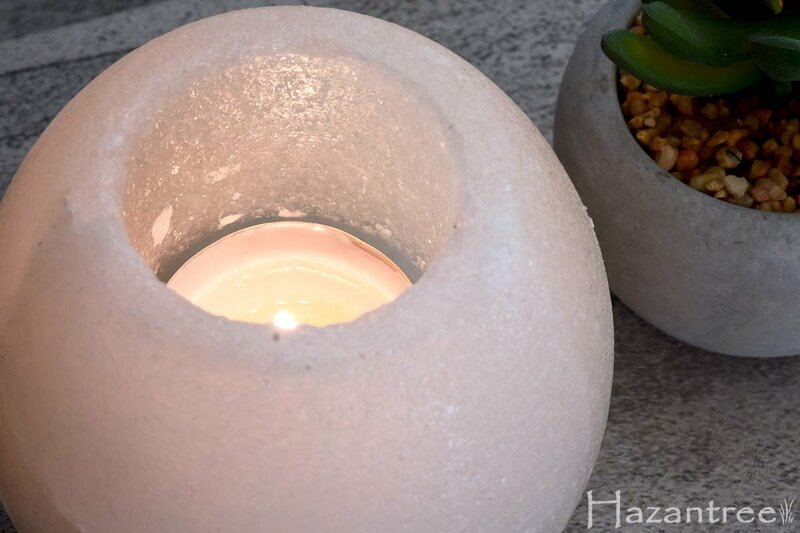 All Hazantree salt Candle holder are made from salt sourced from the Kalabagh Salt Mines. 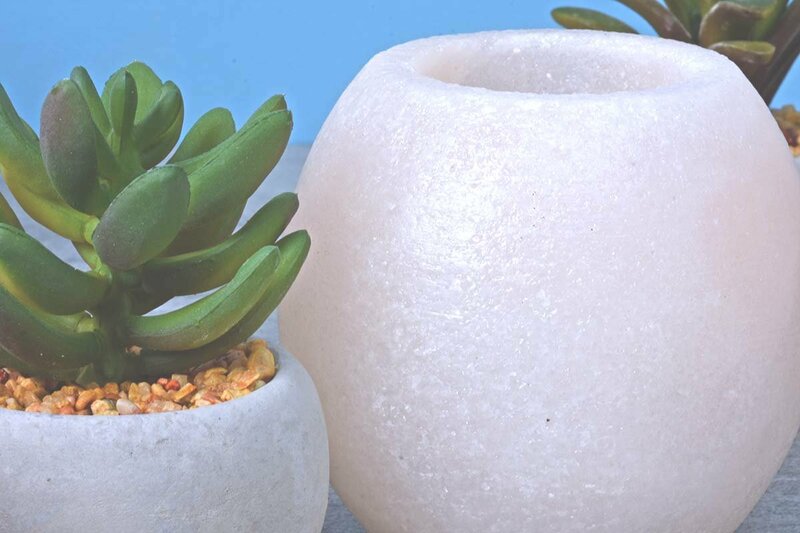 This is the purest source of salt as it contains the least amount of impurities resulting in a strong crystal that has a unique crystalline structure. 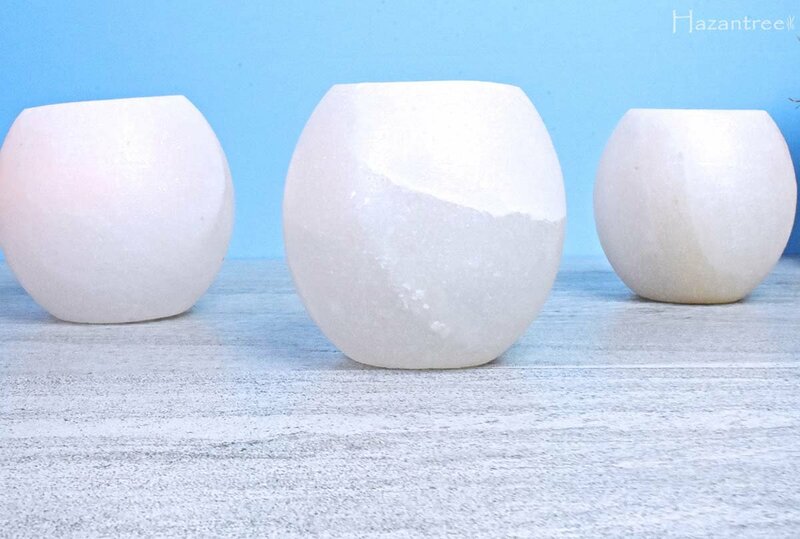 Each Himalayan salt rock is carefully selected by our artisans and then meticulously chiseled by hand to accentuate the hidden beauty of the crystal. 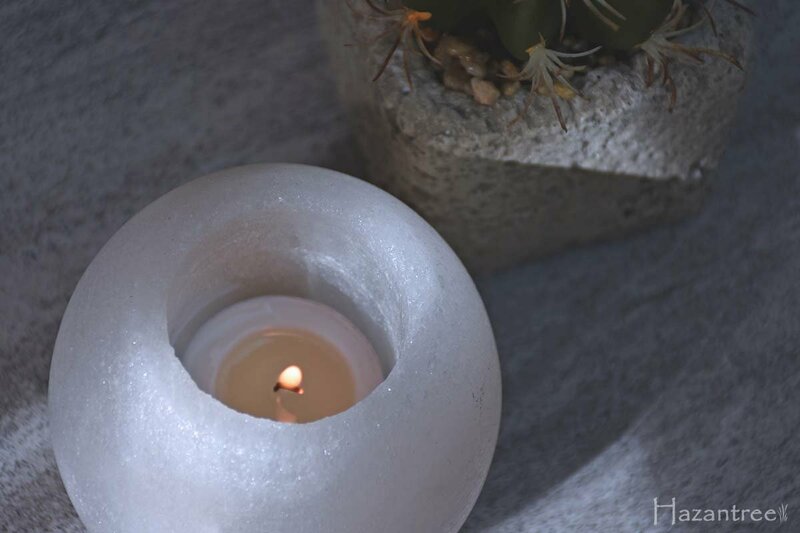 As the light passes through the salt crystal the rock comes to life and becomes a focal point of your living or work space. 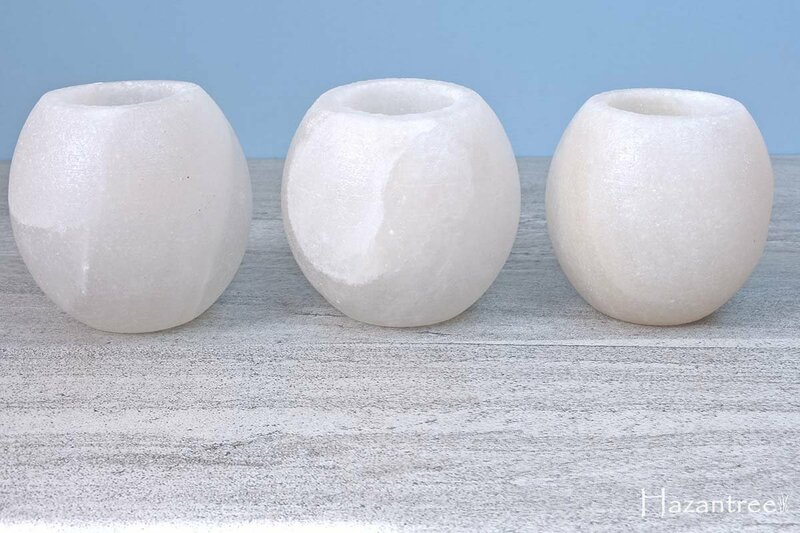 As this is a natural rock the size and lighting varies in each Candle holder. 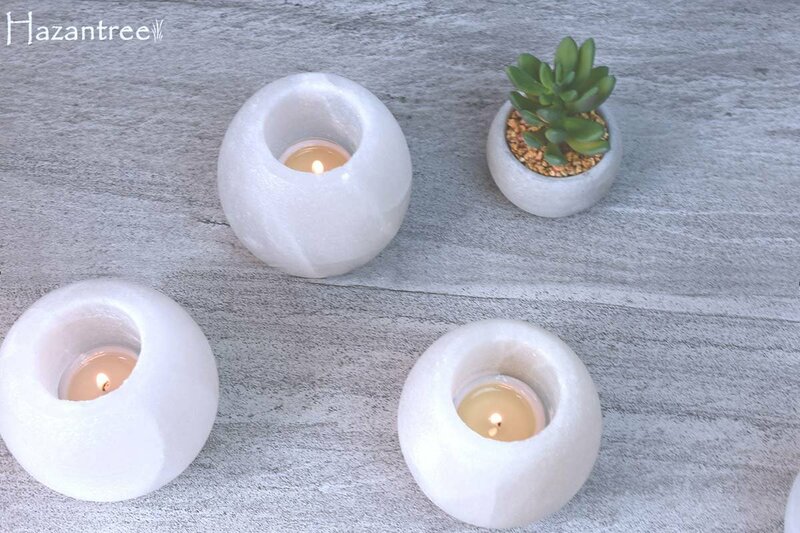 Finally, We make sure that you receive the same high level of service before and after the sale of the Candle holder. Our customer service team maintains the highest level of professionalism and excellence in working with our customers.